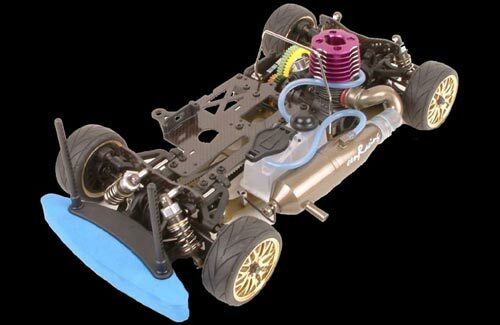 CEN Racing wanted to show the world how a competitive IC car could be produced at an affordable price - and with that thought in their minds, they produced the CEN CT4-R chassis kit. This state of the art racing chassi incorporates months of testing from all parts of the world to bring you one of the fastest, most reliable cars on the market today. This high performance kit comes as standard with all the upgrades and hop-up components that racers demand. The CT4's on-track performance surpasses all other models in it's class with the built-in tuning options allowing the driver to adjust it to suit any track conditions. Race tested twin chamber tuned pipe, two speed transmission and racing clutch system are included. Tremendously good value.